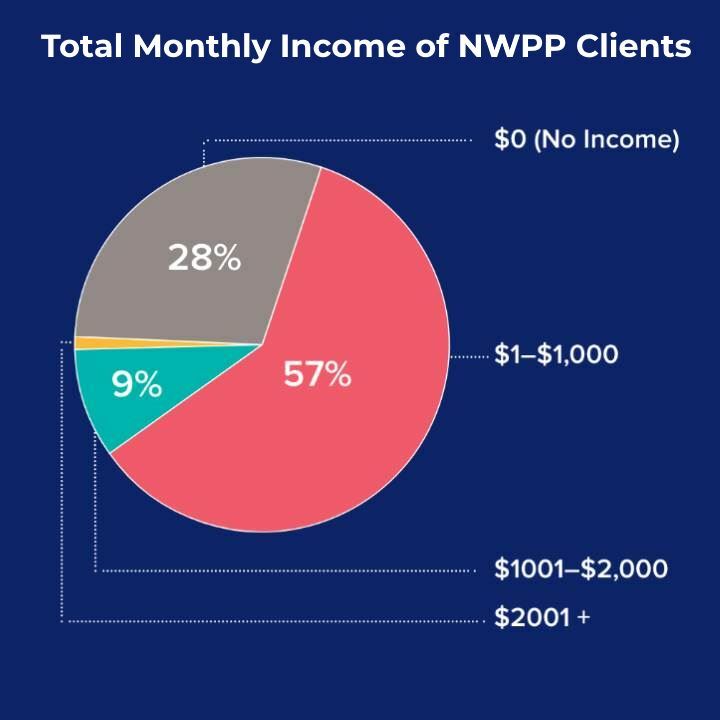 For NWPP, our success is about stabilizing housing for those we serve. We track two types of housing stability: Permanent Housing Placement and Eviction Prevention. When we help someone move from homelessness or temporary living situations into housing that is affordable and without time limits, we call this “Permanent Housing Placement” Permanent housing placement may include locating the apartment, completing or paying for the application process, paying a deposit or first month’s rent, coordinating the physical move, providing basic furniture to get started, or any combination of these services. Eviction Prevention services may include financial help, advocacy with landlords, coordination of in-home services, budgeting, referrals to healthcare providers – in short, anything that stabilizes seniors in their current housing or helps them access more stable housing. We placed 241 households in permanent housing. We provided eviction prevention services to 357 households. We believe that long-term housing stability is the best measure of our success at ending or preventing homelessness for seniors. We measure our clients’ success in their housing at three regular intervals: 3 months, 6 months and 12 months after placement or eviction prevention services. In 2017/2018, 88 % remained stably housing after 12 months. Housing stability can be affected by decreased income, loss of unemployment benefits and increased rents. Some of the individuals housed moved out of the area to seek employment.